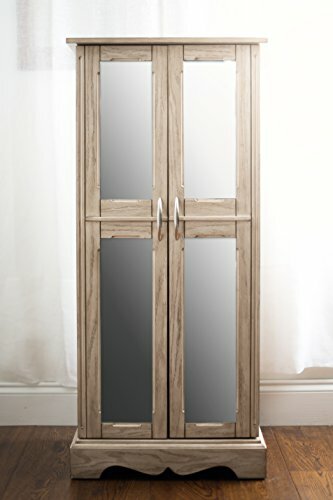 If you're looking for a piece of furniture to store your jewelry that doesn't look like the traditional armoire, then this sleek, mirrored-front cabinet is for you. Thin silver-tone pulls open up to reveal seven easy-open drawers to store plenty of jewelry, scarves and other accessories. If you have any questions about this product by Hives and Honey, contact us by completing and submitting the form below. If you are looking for a specif part number, please include it with your message.